Hello there! Happy New Year! I hope 2017 is treating you well so far. To kick things off around here I thought I’d treat the blog to a bit of a makeover. Fresh starts and all that. It’s nothing too drastic but the main change is that the blog is now (should be) responsive on mobile devices. If you’re reading this on your phone or tablet then you’ve probably already noticed the change. Yep, I’m finally getting with the times. I’m still working out a few things but if you notice any glitches please let me know. I was waning with the blog posts the past couple of months but I’m looking forward to getting back into the groove of things this year. Here’s to an excellent twelve months ahead! Owning a piece of art is always a bit special. While owning an original artwork isn’t necessarily the most affordable thing in the world, there are alternatives. You could look at art prints and posters but what about art tea towels? 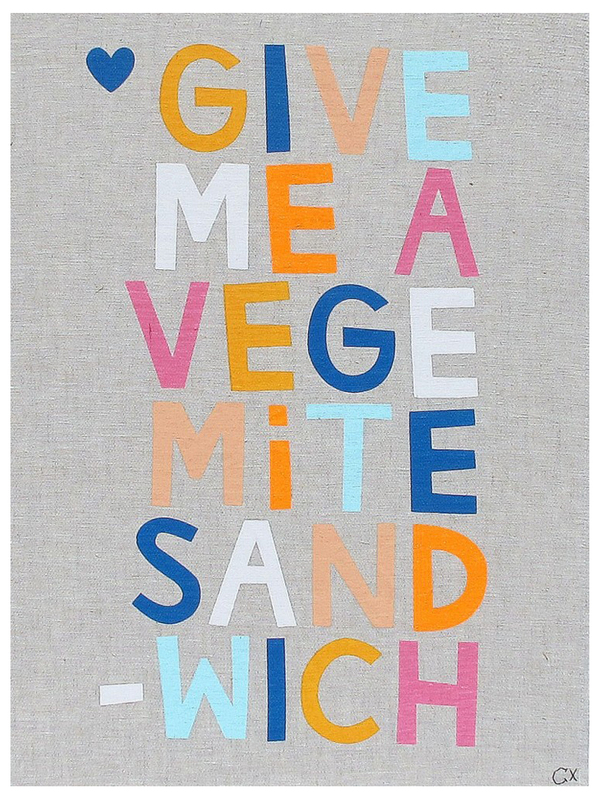 Yes, tea towels! 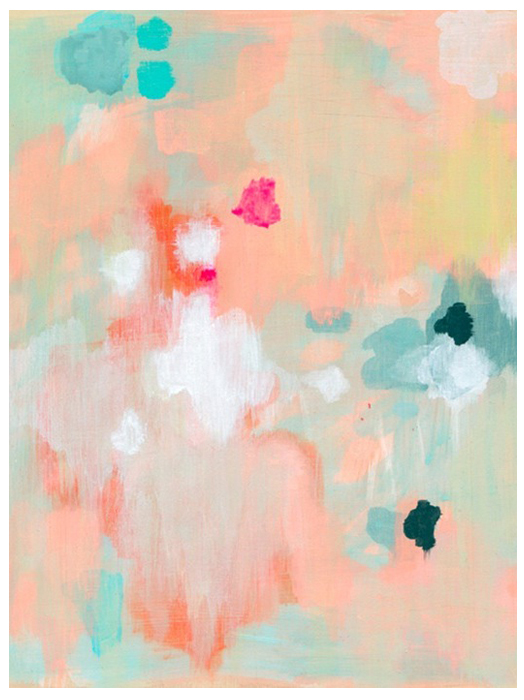 More and more artists are offering up their artwork in tea towel form and it’s a great way to expand your art collection. Sure, they’re notably more expensive than your average tea towel but it’s not like you’ll be doing the dishes with them. Art tea towels are a decent size, look great framed, and have the added bonus of looking like canvas. One of my favourite artists, Rachel Castle, is famed for her fun tea towels and Third Drawer Down also stock a bunch of tea towels featuring works from a range of artists. While they’re not pictured here, I’d also recommend checking out Kara Rosenlund’s range of beautiful photographic printed tea towels and all the fun Australian-themed prints by Everingham + Watson. Bottom row: David Shrigley “Life Is Fantastic” tea towel; Del Kathryn Barton “Cosmic Crime” tea towel from Third Drawer Down (if you’re in Brisbane there’s also a Third Drawer Down concept space in the Gallery of Modern Art). 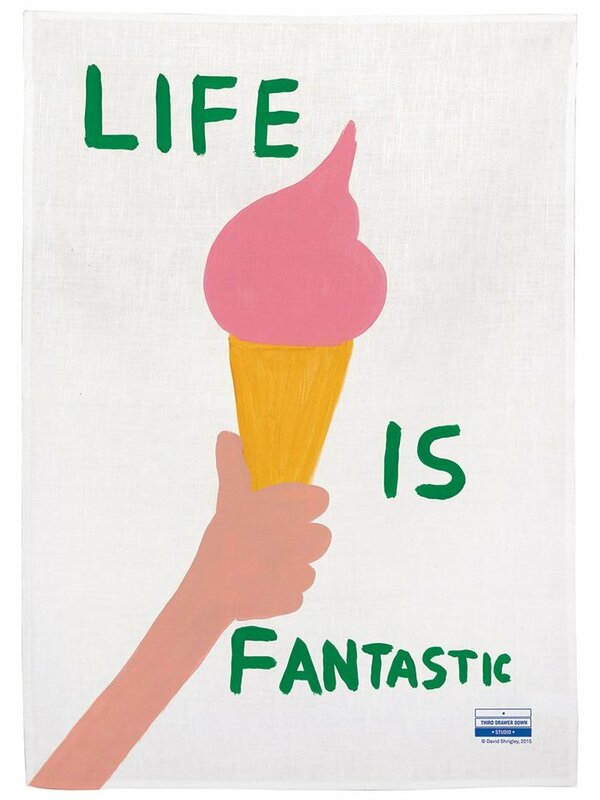 Have you seen any noteworthy art tea towels lately? Sometimes you see something and think well isn’t that just nifty? 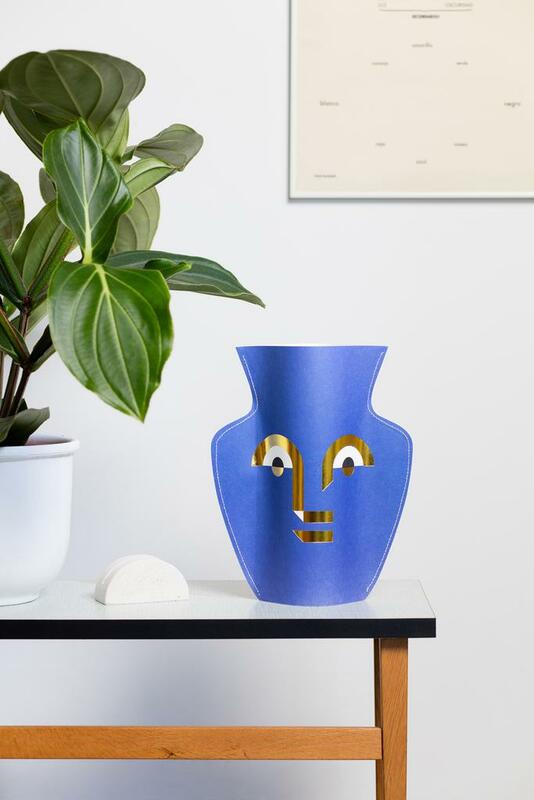 That was my reaction after seeing these paper vases by Octaevo. 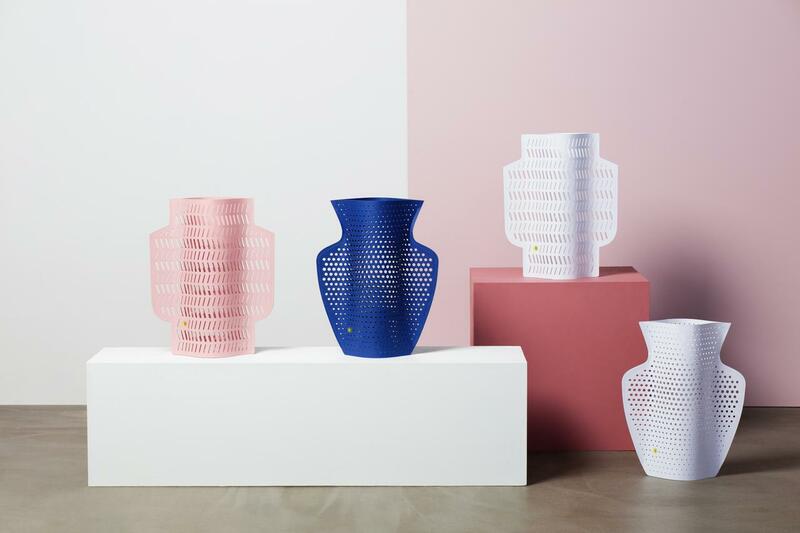 The vases start off as a seemingly flat pieces of paper but once pushed in at the edges you end up with some very stylish 3D objects. The vases are made from a special waterproof paper but you’ll still need to place some sort of vessel inside to hold your flowers. So they’re more like a quirky disguise for your old jars and cans that double as vases. 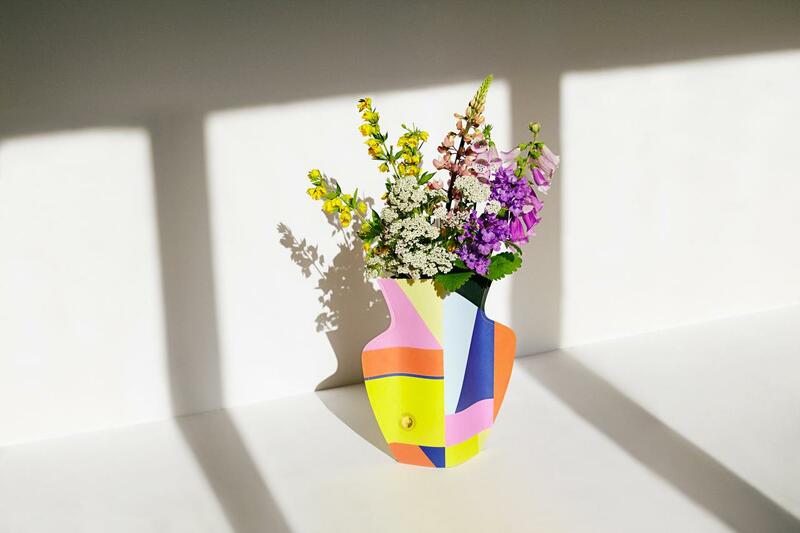 As someone who often uses random vessels to store freshly cut flowers, I’m all for these paper vases. 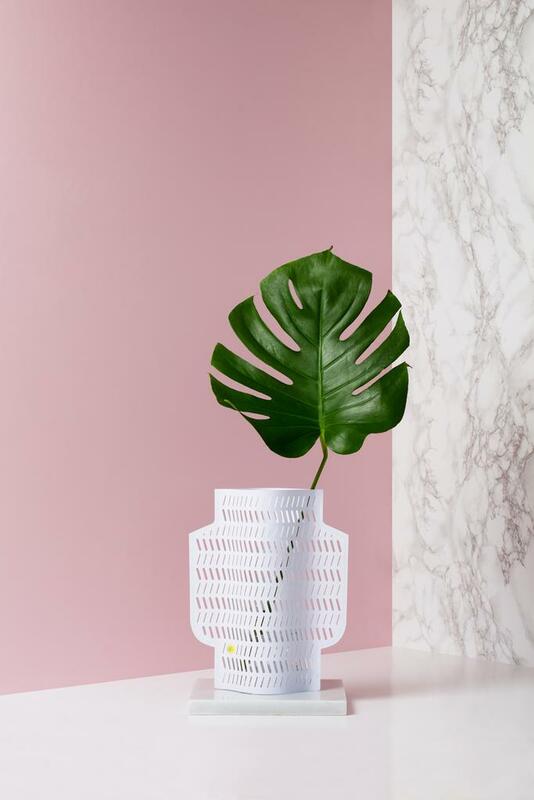 The upcoming Craftsman Collection is a series of four paper vases featuring die-cut shapes and gentle curves. 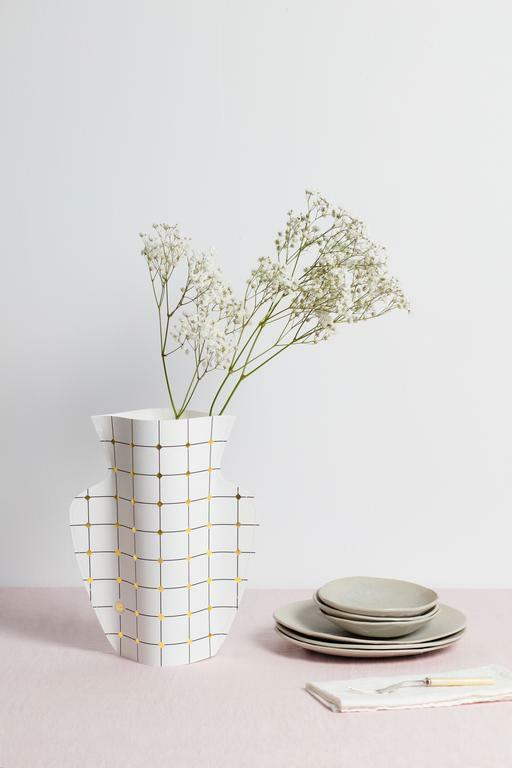 A range of small paper vases will also function as greeting cards, complete with envelopes and gold embellished notecards. 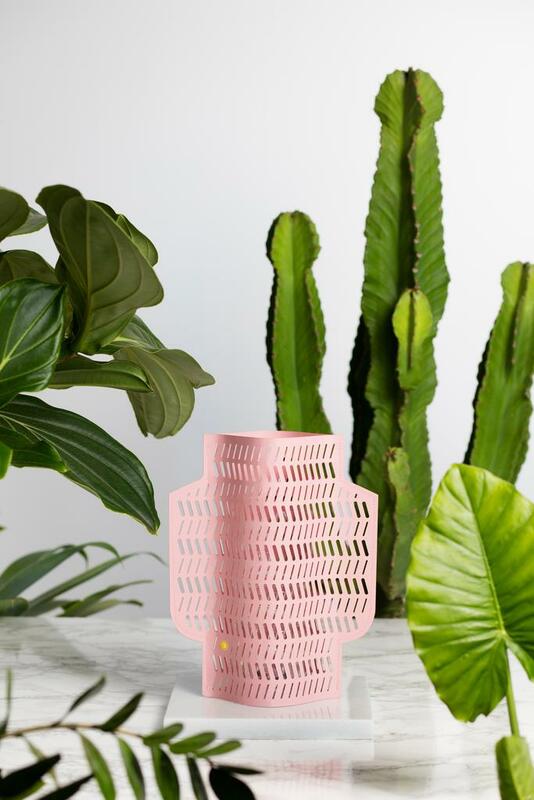 You can take a peek at the current Mediterranean-inspired paper vases up on the Octaevo website with the new collections available from October 2016. Up until recently, La Muralla Roja was one of those things that I’d constantly scroll past on Pinterest or see being used as inspiration-style posts on Instagram, without knowing much about it. Until now. Built in 1973 and designed by Ricardo Bofill, La Muralla Roja is a housing project located in Calpe in the Alicante region of Spain. 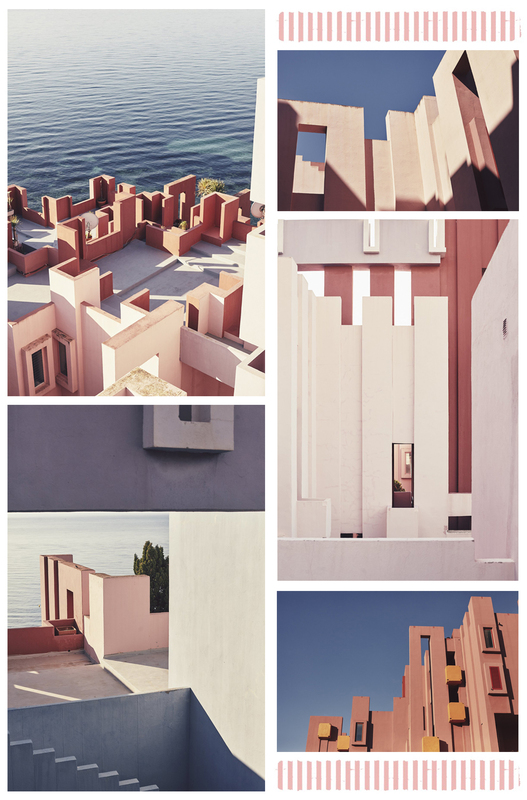 While other photos of La Muralla Roja seem to showcase its vibrant colour scheme, I’m really drawn to the muted tones in these images shot by Nacho Alegre. Something about the faded pink and dusty blue hues is so soothing. This is definitely something that’s appealing to my design sensibilities right now. Is it weird that one of my favourite pastimes is wrapping presents? I’m always looking to up my gift wrapping game and while fancy wrapping paper is the obvious option, sometimes the wow factor lies in the finishing touches. 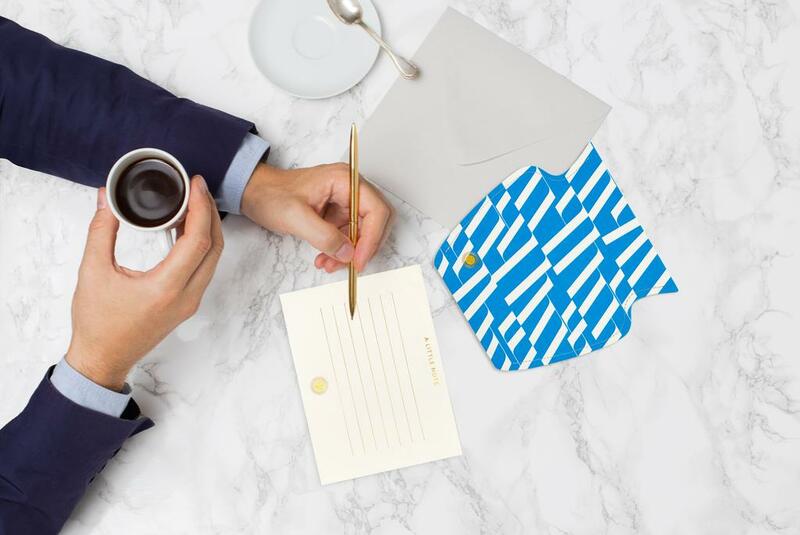 I’ve recently been introduced to Melbourne-based boutique paper goods company SIRA Designs and their bold gift tags and cards definitely bring the fun to the party. Each design has been hand-drawn using pens and watercolours to create free formed shapes and lines. The result is a colourful collection of graphic patterns that will spruce up even the most basic wrapped gifts. The swing tags I’ve featured here are the leopard and multi confetti designs but there are many more to choose from over on the SIRA Designs website. This post is in partnership with SIRA Designs, a fantastic independent Australian label.